AUD 4,093 Excl. Duties / Taxes. This Princess diamond is 1.01 carat in weight, and comes with Very Good polish and Very Good symmetry, as verified from an independent gemological laboratory. The diamond is graded K in colour, and has a clarity grade of VS2. The diamond's GIA grading report number is 7136839511, which will detail further its specifications and measurements, and will also come with the purchase of the stone. AUD 4,292 Excl. Duties / Taxes. This Princess diamond is 1.2 carat in weight, and comes with Very Good polish and Very Good symmetry, as verified from an independent gemological laboratory. The diamond is graded K in colour, and has a clarity grade of SI2. The diamond's GIA grading report number is 1325368138, which will detail further its specifications and measurements, and will also come with the purchase of the stone. AUD 3,101 Excl. Duties / Taxes. This Princess diamond is 1.06 carat in weight, and comes with Good polish and Good symmetry, as verified from an independent gemological laboratory. The diamond is graded K in colour, and has a clarity grade of SI1. The diamond's GIA grading report number is 2185206068, which will detail further its specifications and measurements, and will also come with the purchase of the stone. This Princess diamond is 0.54 carat in weight, and comes with Excellent polish and Very Good symmetry, as verified from an independent gemological laboratory. The diamond is graded K in colour, and has a clarity grade of VS1. The diamond's GIA grading report number is 5181922537, which will detail further its specifications and measurements, and will also come with the purchase of the stone. AUD 26,684 Excl. Duties / Taxes. This Princess diamond is 3.05 carat in weight, and comes with Excellent polish and Excellent symmetry, as verified from an independent gemological laboratory. The diamond is graded K in colour, and has a clarity grade of VS2. The diamond's GIA grading report number is 5192202291, which will detail further its specifications and measurements, and will also come with the purchase of the stone. AUD 3,969 Excl. Duties / Taxes. This Princess diamond is 1.01 carat in weight, and comes with Good polish and Good symmetry, as verified from an independent gemological laboratory. The diamond is graded K in colour, and has a clarity grade of VS1. The diamond's GIA grading report number is 11749104, which will detail further its specifications and measurements, and will also come with the purchase of the stone. AUD 4,003 Excl. Duties / Taxes. This Princess diamond is 1.02 carat in weight, and comes with Good polish and Very Good symmetry, as verified from an independent gemological laboratory. The diamond is graded K in colour, and has a clarity grade of VS1. The diamond's GIA grading report number is 16297466, which will detail further its specifications and measurements, and will also come with the purchase of the stone. AUD 3,478 Excl. Duties / Taxes. This Princess diamond is 1 carat in weight, and comes with Very Good polish and Fair symmetry, as verified from an independent gemological laboratory. 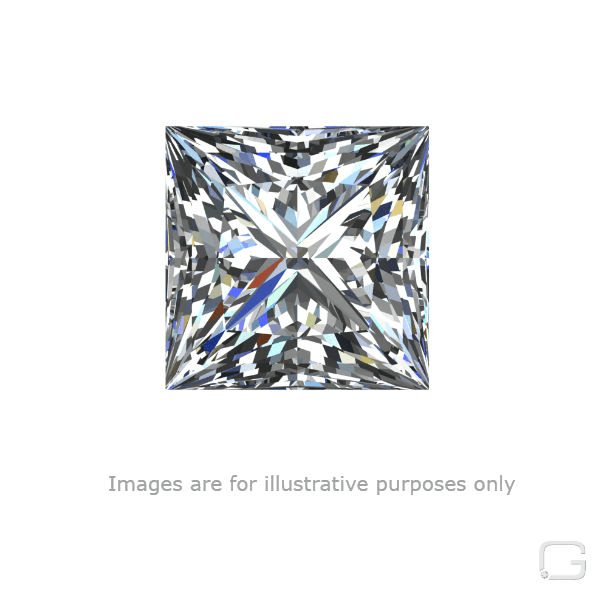 The diamond is graded K in colour, and has a clarity grade of VVS1. The diamond's GIA grading report number is 2183094425, which will detail further its specifications and measurements, and will also come with the purchase of the stone. AUD 4,302 Excl. Duties / Taxes. This Princess diamond is 1 carat in weight, and comes with Excellent polish and Good symmetry, as verified from an independent gemological laboratory. The diamond is graded K in colour, and has a clarity grade of SI2. The diamond's GIA grading report number is 3315463185, which will detail further its specifications and measurements, and will also come with the purchase of the stone. AUD 7,568 Excl. Duties / Taxes. This Princess diamond is 1.71 carat in weight, and comes with Very Good polish and Very Good symmetry, as verified from an independent gemological laboratory. The diamond is graded K in colour, and has a clarity grade of SI2. The diamond's GIA grading report number is 2205007250, which will detail further its specifications and measurements, and will also come with the purchase of the stone. AUD 7,097 Excl. Duties / Taxes. This Princess diamond is 1.58 carat in weight, and comes with Very Good polish and Very Good symmetry, as verified from an independent gemological laboratory. The diamond is graded K in colour, and has a clarity grade of VS2. The diamond's GIA grading report number is 2297265034, which will detail further its specifications and measurements, and will also come with the purchase of the stone. AUD 8,972 Excl. Duties / Taxes. This Princess diamond is 1.72 carat in weight, and comes with Excellent polish and Excellent symmetry, as verified from an independent gemological laboratory. The diamond is graded K in colour, and has a clarity grade of VS2. The diamond's GIA grading report number is 5192911713, which will detail further its specifications and measurements, and will also come with the purchase of the stone. This Princess diamond is 1.09 carat in weight, and comes with Good polish and Good symmetry, as verified from an independent gemological laboratory. The diamond is graded K in colour, and has a clarity grade of SI2. The diamond's GIA grading report number is 5182670736, which will detail further its specifications and measurements, and will also come with the purchase of the stone. AUD 4,731 Excl. Duties / Taxes. This Princess diamond is 1.24 carat in weight, and comes with Very Good polish and Very Good symmetry, as verified from an independent gemological laboratory. The diamond is graded K in colour, and has a clarity grade of VS2. The diamond's GIA grading report number is 2274382329, which will detail further its specifications and measurements, and will also come with the purchase of the stone. AUD 47,787 Excl. Duties / Taxes. This Princess diamond is 4.02 carat in weight, and comes with Good polish and Good symmetry, as verified from an independent gemological laboratory. The diamond is graded K in colour, and has a clarity grade of VS1. The diamond's GIA grading report number is 1112547765, which will detail further its specifications and measurements, and will also come with the purchase of the stone.